This image appeard in the July 1906 issue of The Commercial Vehicle on page 58. This is a photograph that was used in a later publication. 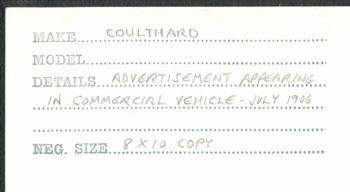 The American Coulthard Company does not appear in Kimes, Beverly Rae and Clark, Henry Austin, Standard Catalogue of American Cars, 1805 - 1942, (Iola, WI, 3rd Edition, 1996). 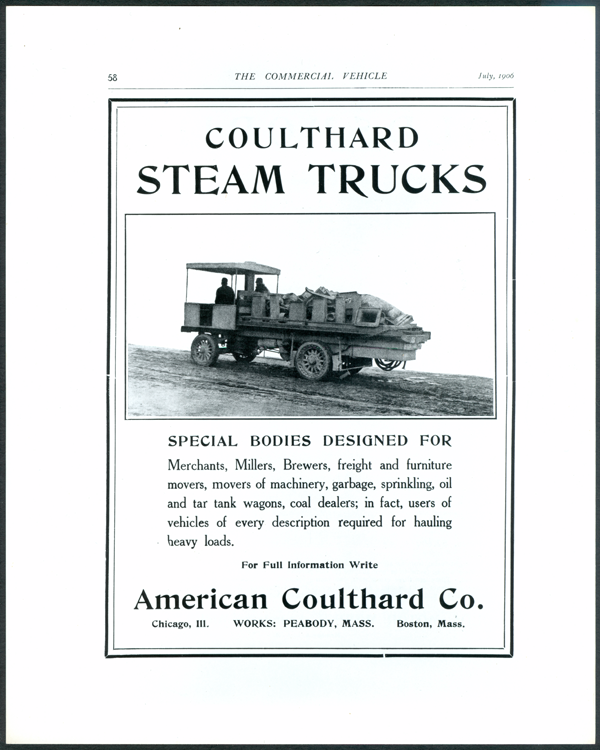 Contact us if you have additional information about the American Coulthard Company, or if you have questions.